Since long ago, fried spring rolls (called nem ran in Vietnamese) has been a familiar dish in daily meal of every Vietnamese family. 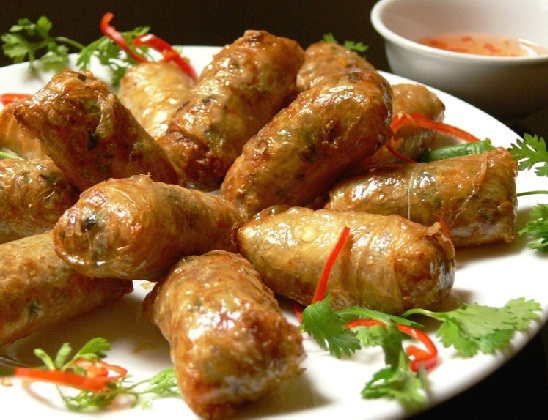 In traditional culture of Vietnam, plates of nem ran are indispensable during Tet holiday – the grandest festival of the country as well as other important occasions. And if you are an honor guest invited to enjoy a cozy meal with a Vietnamese family, in almost case, nem ran may be what you are treated! It’s not much complicate to make this delicious cuisine. Main ingredients would include minced pork, bean sprout, green shallot, vermicelli noodles and eggs which are mixed and added some spices such as black pepper, salt… The mixture would be wrapped by round rice-paper sheets, then, spring rolls will be fried in cooking oil till crisped to be completed. 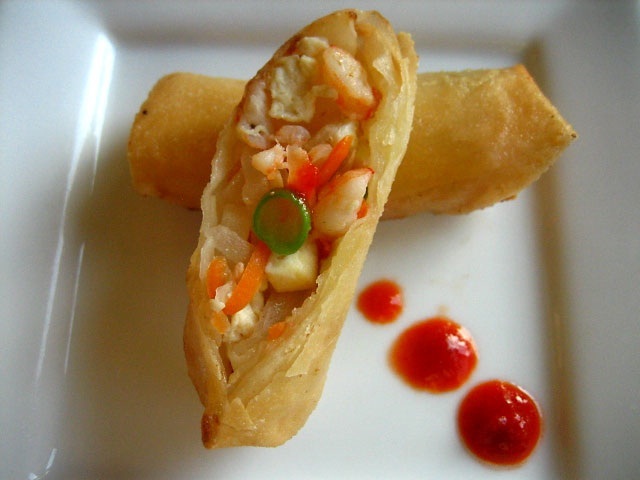 The perfect taste of the dish can be made by wrapping the hot spring roll with fresh lettuce leaves and other aromatic herbs such as mint leaves, and then, dipping them into a special sauce – nuoc cham which is the mixture of fish sauce, lime, garlic, sugar, small red chilies and water. Now, see how they make you crave. If you are a real gourmet traveling to Vietnam, make sure that you don’t miss this luscious dish!